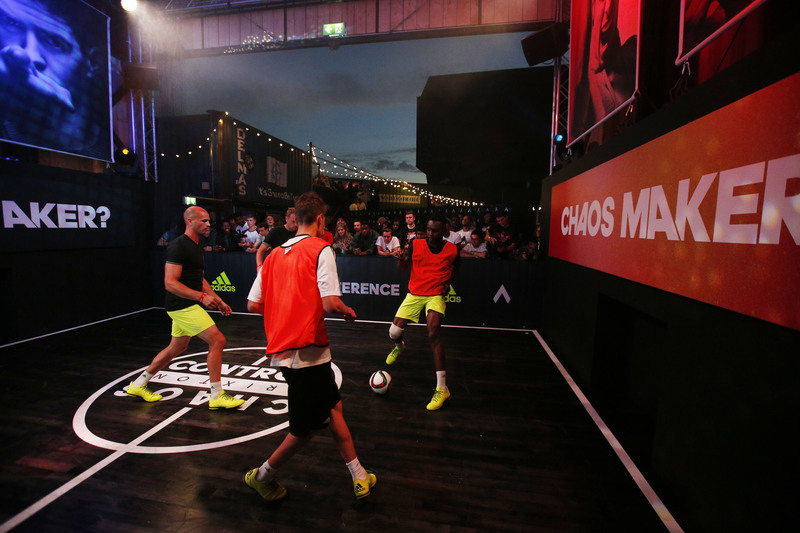 adidas has hosted the opening night of its adidas Base Brixton event staged down at the pop up venue, Brixton Pop. As a celebration of football, the evening’s main event was a 2v2 panna tournament featuring 8 sides made up of some of the top freestylers in the country. The rules were simple; the more skill and flair you displayed, the more points you were awarded. 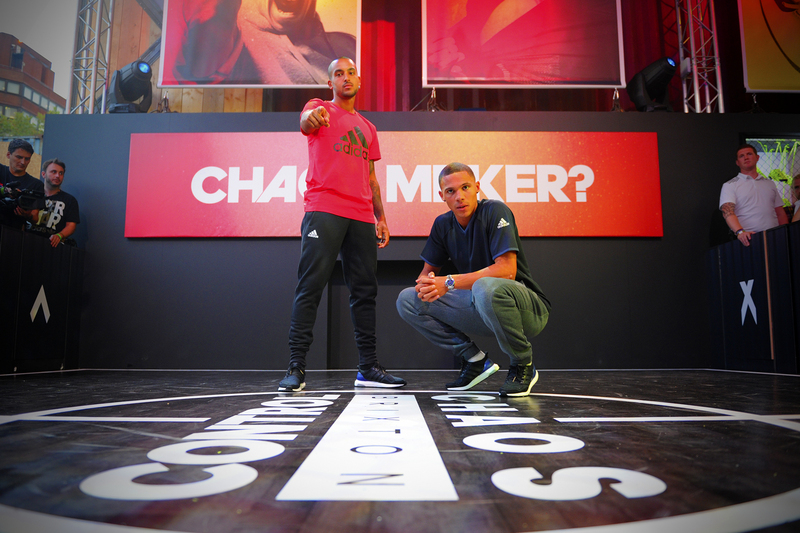 World Champion Freestyler, Andrew Henderson, gave a jaw dropping performance before Theo Walcott and Kieran Gibbs turned up to judge the final. 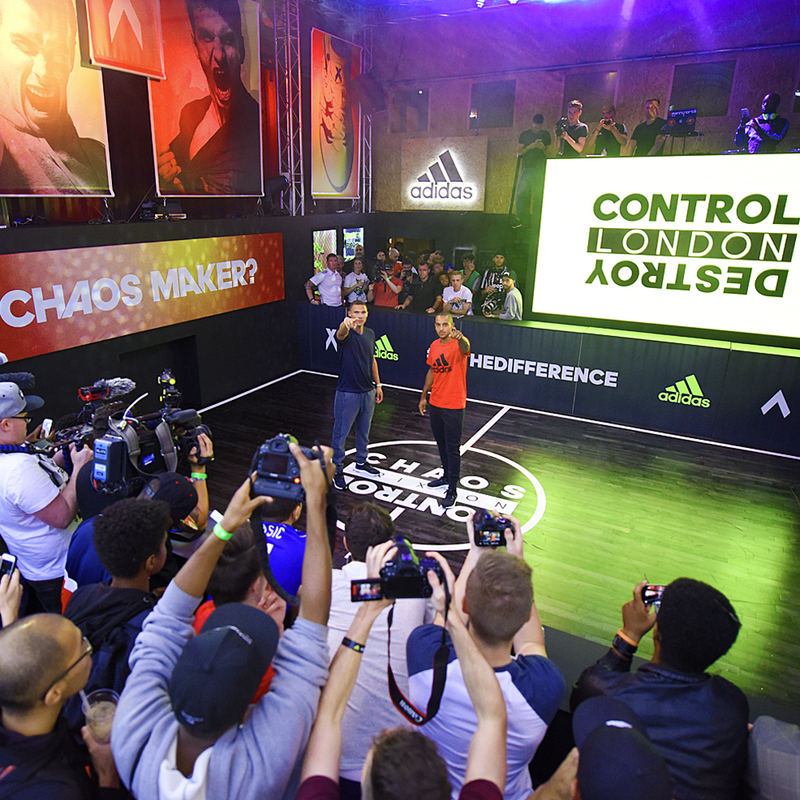 At the end of the tournament Walcott and Gibbs announced a champion adidas X player and champion adidas Ace player to cap off an action packed evening. Asides from the tournament and performances on the main stage, there is a sector of the venue named adidas Ace and X worlds. In these worlds you can test out the new adidas Ace and X boots by taking part in a series of challenges to decide whether you change the game (X) or run the game (Ace)? To register and sign up for the above please visit http://www.basebrixton.com which is open until Wednesday 12th August. Did you attend the adidas Base Brixton event? Let us know in the comments section below or on our Twitter and Facebook pages.